The latest generation of Apple AirPods are coming, and you'll want to check these bad boys out. Apple's second-generation AirPods have finally been announced, and they look like they'll make the already well-loved product even better. Apple debuted the product today with another surprise launch, announcing the second-generation AirPods ahead of its upcoming event. 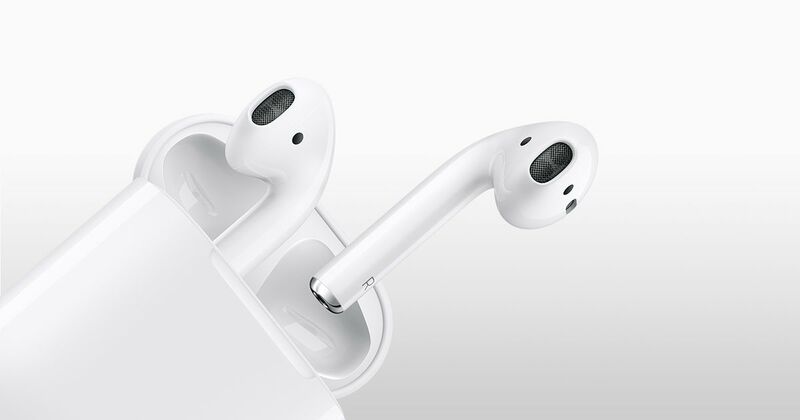 The new AirPods will com packing a wireless charging case and new H1 chip for improved battery life as well as support for Siri so she can be summoned without the need of a button. The wireless charging case will work with QI charging, so you can set your AirPod case down somewhere and let it go to town so it can charge your earbuds up. They look otherwise the exact same as the original models, except you get an LED light on the charging case to let you know what kind of battery life you're dealing with, which is a very small change. But it's what's inside that counts, of course, with Apple saying the H1 chip offers several benefits from the last generation, like an extra hour of battery life to keep you on the phone longer (a 50 percent increase), better mic clarity, and the aforementioned Siri support. The AirPods will come with the wireless charging case for $199 or without it for $159. You can also opt to purchase the wireless charging case separately for $70 in case the charging part intrigues you and you don't want to do a full upgrade. Apple still hasn't come out with the AirPower wireless charger it's supposedly been working on, of course, but new AirPods are still pretty cool too, right? Stay tuned to Shacknews for additional updates, like when we might possibly see the AirPower charger someday. Spoiler alert: We don't know. for those who lost their first generation and no longer have them to compare to see its basically the same thing.